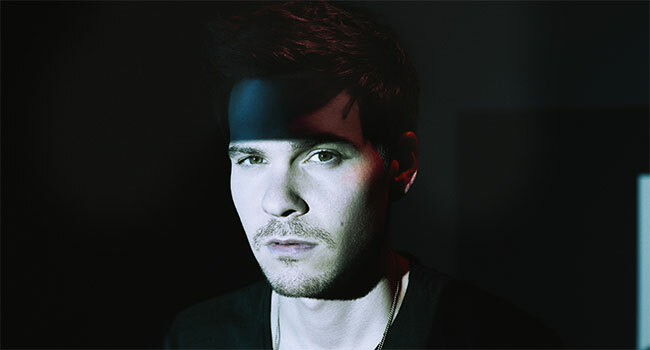 The Music Universe recently spoke with one of the most sought after singer/songwriters and producers, Matthew Koma, who will soon be releasing his debut album Eros Ludus on RCA Records. His latest single “Suitcase” is at radio now and the video can be seen below. Having worked with so many artists under the musical sun, Koma will soon be an artist others will be clamoring to work with. Can you run down a few of the artists you’ve worked with and what specifically you worked with them on? I’ve worked with artists sort of all over the map. The past few years I’ve done a lot of writing with electronic producers and artists – Zedd and I worked on “Clarity,” “Spectrum,” and “Find You” together…Tiësto and I worked on a bunch of his album including “Wasted” …a solo record of my own that I collaborated with Louis the Child, Jai Wolf, Flux Pavilion on. On the other end of the artist spectrum, I produced four songs on the upcoming Shania Twain album. I like to be a part of as many projects as possible that are different from each other. It keeps me excited and challenged. You cite as influences artists such as Bruce Springsteen, Elvis Costello, artists that are known as accomplished singer/songwriters. What draws you towards singer/songwriters? I‘d say Bruce, Elvis and Squeeze were who I borrowed from the most. I was attracted to Bruce for his story-telling and ability to connect to the masses in a way that was religious and beyond the normal. His shows were and are a church. Elvis, for his way of twisting a phrase. I’d spend days trying to figure out what he was talking about and there is so much brilliance in his way of painting the world. Nobody does it like he does. I’d kill to have written “I Don’t Want Go to Chelsea.” Squeeze taught me melody. To this day I think Difford + Tilbrook are the best it gets. In general, I’m attracted to the vulnerability of singer songwriters. The little piece of themselves they share in their unique way through a song. Taylor Goldsmith from Dawes is the most recent example of someone carrying that torch in a new / authentic way. I’d listen to that guy tell a story about absolutely anything because I subscribe to his perspective and language. EDM isn’t normally associated with singer/songwriters which is what you are. Why do you feel EDM doesn’t receive that sort of acclaim? I think people listen to different kinds of music for different experiences. Historically, electronic music wasn’t a place you went to turn inwards or be taken by a lyric. It was more for the feeling of freedom – freedom of self, thought and reality in some ways. I was fortunate to see those two worlds merge and form what feels like a progressive version of the genre that absolutely has a respect and foundation of song. The past five years have been completely different in terms of how electronic music views the value of a lyric and melody. Tell me about your new album Eros Ludus. Can you describe where you got your influences for this album, and what this album represents? You mentioned that it’s “the beginning of my story.” Can you elaborate on that? I don’t know – it’s a collection of songs. A snapshot of a period that meant something when I was writing it and will take on a different meaning in a year. I’m always most excited about my newest collection or body of work, and I think my way of expressing that is to deem it a “new beginning” or start. These songs are about growing into a painfully self-aware person; love, inwards and outwards. I’m really proud of a lot of the songs. It’s hard to cite an influence because I’ve had a long time to cherry pick the songs and productions so I had the luxury of putting together a collection of what I felt was the strongest from all different periods. Saying Stephan Jenkins’ (Third Eye Blind) name on live television during a performance of “Kisses Back” and tweeting the video loop to him repeatedly for one week. Happiness comes in all sizes.